School has been back in session for a month and there hasn’t been a mass shooting - yet. Will there be one this year? Most likely. Where? When? By whom? We can’t answer the first two, but we can place a fairly safe bet on the third. If the past is any guide, it will most likely be a mentally and emotionally-disturbed, teenaged, white boy. He’ll enter the school’s formerly gun-free zone with at least one gun, and possibly several. He’ll know that he’ll be the only armed person in the school for at least several minutes until police arrive - plenty of time to kill many, many children as well as any adults who try to stop him because they’ll all be defenseless. 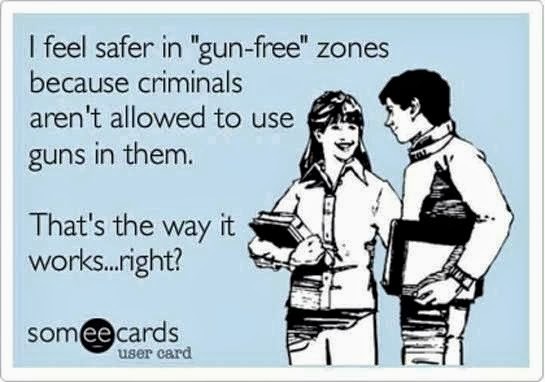 When did our schools become gun-free zones? After the “Gun Free School Zones Act” passed in 1990. It was modeled after the “Drug Free Zones” established around schools - and both were intended to increase penalties against students who brought drugs or guns into schools, and against gang members who might shoot at each other. It wasn't designed to prevent teachers or other responsible adults from carrying concealed firearms. That, however, was an unintended side-effect of the act, and it’s leaving our schools vulnerable to the mentally-unhinged and/or evil individuals who like to kill. Can anything be done to prevent school killings? If some adults in a school were armed and trained to confront intruders with guns, killings could be dramatically reduced. Take the Newtown murders for example. If the people in the office had been armed, twenty children would likely have been saved. The principal, a psychologist, and a teacher rushed out to meet the shooter, Adam Lanza, when they heard him shoot the door open. Defenseless, all three were shot. The rest of the people in the school school could only cower and hope police would come before he could get to them. What would Lanza have done if someone were shooting back at him? He wouldn’t have been free to shoot so many children if here were busy defending himself, would he? 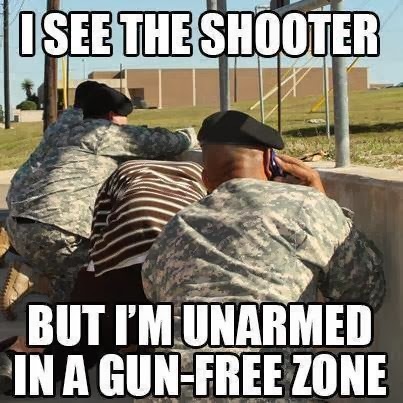 It’s bad enough that our schools became gun-free zones, but it’s absurd that now our military bases are as well. Remember when we used to call the military the “Armed Services”? Well, now they’re the unarmed services thanks to President Clinton. One of the first things he did after being inaugurated in 1993 was to disarm our military personnel while they’re on base. 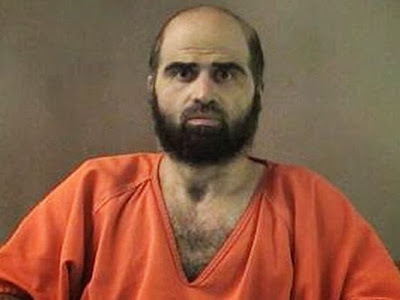 That’s why Radical Muslim Major Nidal Hasan was able to shoot forty-two soldiers at Fort Hood before being shot himself by a civilian police officer who came onto the base. The wife of one of the wounded was asked after the shooting how she felt about her husband’s pending deployment to Afghanistan. “At least he’s safe there and he can fire back, right?” she responded. Aaron Alexis was able to kill twelve people at the Navy Yard in Washington DC a couple of weeks ago. There were Marines stationed on base with guns who could have stopped him, but they had no bullets thanks to President Clinton. Evil jihadists like Major Hasan as well as the mentally ill like Adam Lanza and Aaron Alexis seek out soft targets to play out their malicious schemes. That’s why a group of jihadists targeted a shopping mall in Nairobi, Kenya a couple of weeks ago. However, two armed men - an army ranger from Ireland and a British soldier - were able to rescue two hundred terrified shoppers by shooting back at the jihadists. Otherwise, the death toll there would have been much higher. 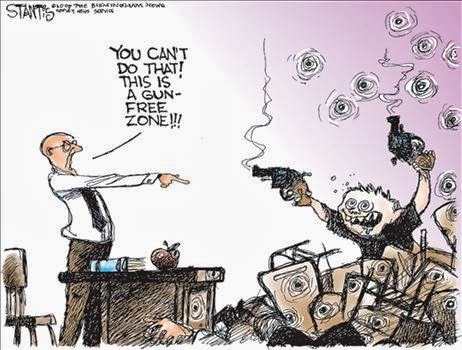 As the NRA’s Wayne LaPierre put it: “The only thing that stops a bad guy with a gun is a good guy with a gun.” Haven't we learned by now that "Gun Free Zone" signs don't work? Shortly before I retired, our school went into lockdown because of a gun threat. I followed protocol and cowered in my classroom until the all-clear and I wrote about how helpless I felt without a gun. It would make so much sense to train volunteer teachers at each school in how to deal with an armed intruder. Give them an extra stipend for their extra duty as if they were coaching a sport. I would gladly have taken the training. It would be cheaper than paying a policeman at each school. Children at daycare centers in our federal buildings have armed guards to protect them ever since the Oklahoma Federal Building was attacked. Those guards are trained for only a few weeks. Why not give public school personnel the same training? Are children in our public schools any less valuable than children in federal daycare centers? 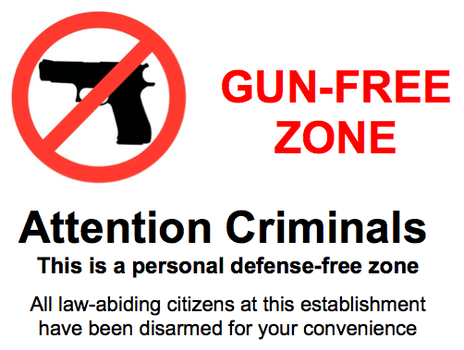 I wonder if suspension/expulsion/arrest from ALL "gun free zone" related offenses "deemed" dangerous by "appointed"(without appropriate credentials) folk is enough to send a normally well adjusted unemancipated citizen over the edge? It never cease to amaze me how gullible the American pele have become. What ever happened to critical thinking? How many of these "mass shootings" are hoaxes? Where is the evidence? Seymour Hersh just called out the msm as pathetic shills tooting water for Obama and he is right. He also mentioned the lie that is the bin laden kill story. Everyone else in the world knows this is a lie. Pakistani media just ran a story on it. It's a joke. My military friends all, all, know its a lie. So, if they are willing to lie about that.....? What's to say this navy shipyard bs isn't fake? Newtown? Stop believing everything they tell you. Thank you Tom! After the Connecticut shooting, I had said that teachers who are willing to be trained and carry a gun is the BEST answer. I pray this will be done. There really shouldn't be any reluctance from having armed and trained people, not only at schools, but in other public institutions. Of course, possessing a firearm in the interest of defending against an assault also comes with deeper responsibility. It's not only mastering the maintenance and use of a gun that requires thorough training but judgment as well. Any sign that the volunteer has cowboy fantasies ought to immediately disqualify them from 'duty'; not unlike with police. The issue of mental stability for those who possess firearms is a signficant prerequisite I should think. Even in the Army, there have been recruits who manage to pass the initial screening but who can quickly become a threat...usually to themselves. I once had to deal with a young soldier sitting in his tent with the barrel of a loaded rifle thrust in his mouth. Thankfully, after some time, the young man was convinced to give up and so was taken away to a psychiatric facility. There is another side of your story Tom that I believe is the proverbial 'elephant-in-the-room' when it comes to the kind of violence we have witnessed and that is 'mental illness' itself. Over half of the homeless on our streets are persons suffering from schizophrenia and other mental illnesses and more 'at home' often do not receive the treatment that they need. It's practically impossible, in your country and mine, for a psychiatrist to have a person who so obviously is mentally sick admitted to hospital. It's a matter of 'civil rights' don't you know. I remember well the paradigm shift that took place in the seventies with psychiatric patients and institutions. The au courant political winds at the time were that the mentally ill would do much better outside of locked institutions that had come to be regarded as 'dark satanic mills' and so the thinking was to build programs that would house these patients in smaller homes under the supervision of social workers and the like. In a very short time our cities had hundreds of the mentally ill out in the community and the government overseers, as one might have expected, had difficulty keeping up with the 'demand'. The Lakeshore Psychiatric Hospital in Toronto where I did my training rapidly emptied and the Ministry of Health decided to lease it out. It ended up as the location for the Police Academy movies. I guess that it helped to pay the bills but so many patients who were once supervised and in a safe environment practically disappeared into the community. I believe with Dr. Krauthammer that there will continue to be these crazy assaults no matter what but society has made the odds so much greater by pretending that mental illness will just go away if we don't look at it. Mental illnesses are not like many of those heart-tugging diseases like breast cancer or heart and stroke. No one is signing up at the office to 'run for the cure'. The advancement within psychiatric and neuro-psychiatric medicine since the days when one flew over the cuckoo's nest is incredible. Perhaps the most signifcant is the discovery of the genetic factors related to the illness; and this especially true for schizophrenia, the disease du jour for hallucinatory mass murder. Whilst we're training those teachers and others in schools to take on the extra responsiblity of being first-responders, we should do even more to figure out how to address that 'elephant-in-the-room' that no one wants to talk about. Yes. Look out for cowboy wannabes we know are out there. There aren't many in the teaching profession in my experience, however. They go for military or police jobs usually. Teachers don't wear uniforms. The bigger problem would be to find teachers willing to undergo the training. The profession is so leftist - and anti-gun almost by definition - that volunteers may not come forward even if school administration gave the go-ahead. That's unlikely too, here in the liberal northeast anyway. Maybe in Missouri or Oklahoma or Texas, but not in New England. The left is unwavering in their belief that guns are the problem, not evil and/or mental illness. And yes, the mentally ill are out there in large numbers. They're in county jails too. And there are more of them than in the WWII generation as prolific illegal drug use among baby boomers and subsequent generations triggers the weak links in the genetic chains of those predisposed to schizophrenia and other maladies. The 60s and 70s witnessed a redefinition of juvenile delinquents to "emotionally disturbed." My first teaching job was in that mis-defined population. JDs were mixed with the genuinely mentally ill as reform schools were closed down at the same time the mentally ill were de-institutionalized. The truly crazy now have civil rights to go off prescription meds, go on street drugs, and cause mayhem. They can only be re-institutionalized for very short periods against their wills, usually less than a week or two in most states. They get disability checks and EBT cards enabling them to isolate and incubate their evil fantasies. Now the left is firmly in charge down here in the states. Not likely that these trends will be reversed in the foreseeable future. Read the latest from Seymour Hersh regarding the mainstream press, Obama and the bin laden lie. Do you believe everything they tell you? Why limit guns in schools to the teachers? 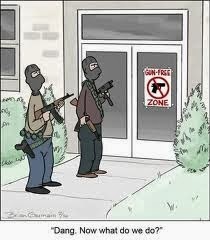 Just imagine if 20 kindergarteners whipped out their pistols and started blasting away at the intruder!!!!! There are Christians who are persecuted in some parts of the world. This is not a picture of them. Whoever placed this caption with this photo is lying to you. I encourage you to correct your post and refrain from perpetuating this lie.